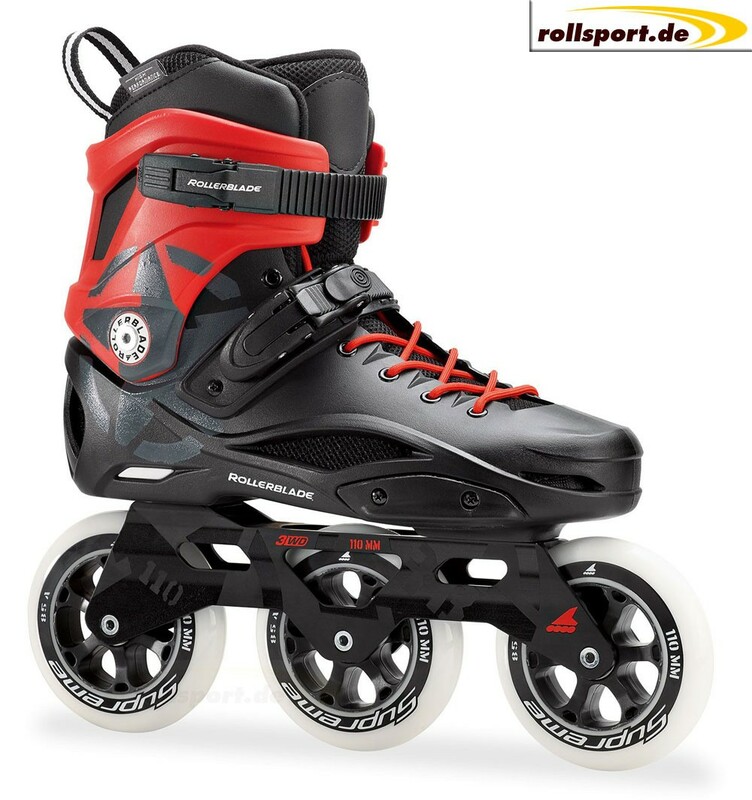 Rollerblade RB 110 3WD black red - The new Triskate Urban Skate is equipped with 3x 110mm wheels, SG-7 ball bearings and racing axles. 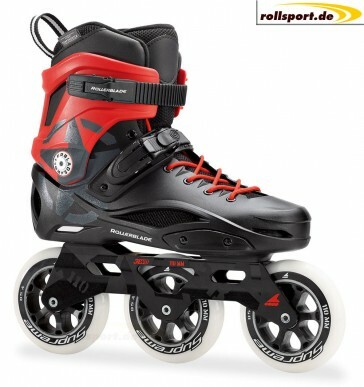 A perfect hard shell rollerblade. 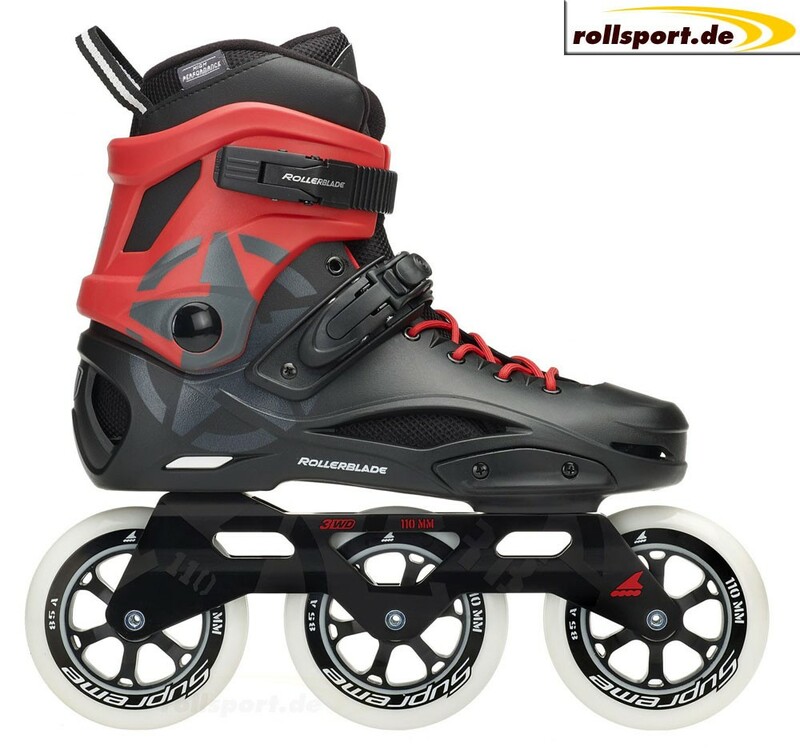 The Rollerblade RB 110 3WD Skate is equipped with a very high Cuff, which surrounds the very comfortable RB High Performance inside shoe. The sole of the RB 110 3WD is equipped with a shock-absorbing material, which has a very positive effect on jumps and slides. On the boat, as well as on the Cuff ventilation guards were installed. Traditional laces, as well as 1x buckle over the instep and 1x buckle at the top of the shinbone, serve as a lacing system and thus give the foot a firm hold. 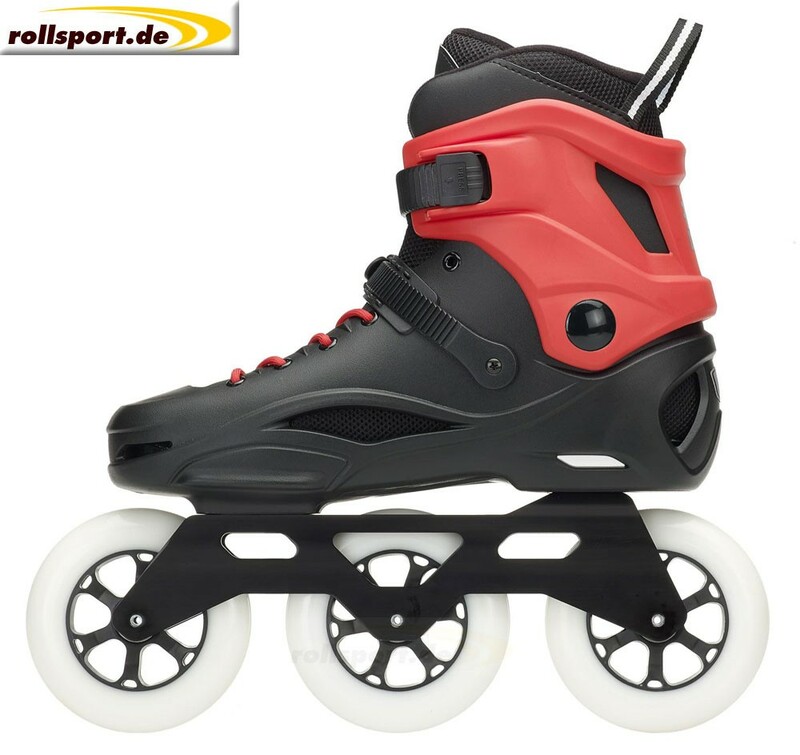 The aluminum frame has got 3x 110mm wheels with 85 wheel hardness.